WE WANT TO GROW OUR AGENCY WITH PEOPLE JUST LIKE YOU! Refer us a friend or a family member to get your reward! Get a Quote Instantly. Enter your contact information to get started. 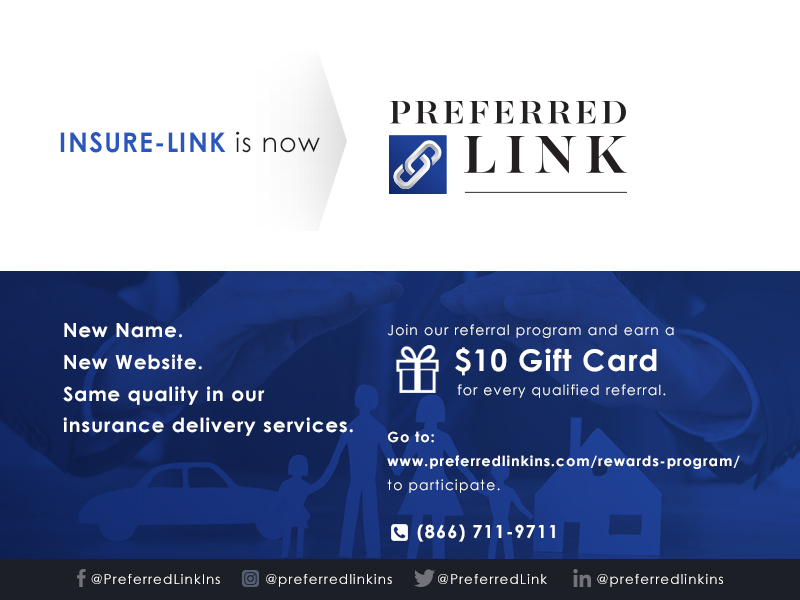 Preferred Link is one of South Florida’s leading Independent Insurance Agencies. We represent over 40 different insurance carriers and we write insurance in all 67 counties. We deliver superior insurance products while providing quality customer service. We pride ourselves on our attention to providing each client with insurance coverage to match their individual needs. We are always working hard to improve our rates! THE SAMPLE RATES ARE PROVIDED FOR COMPARISON PURPOSES ONLY. The listing of an insurance company on this site does not constitute an endorsement by Preferredlinkins.com. The insurance companies listed on this site may not be writing new business in your specific zip code, county, or geographic area . The rates provided do not include surcharges or discounts that may apply to a particular policy. Actual rates may vary. For the most accurate quote, based on underwriting characteristics and other information (i.e. eligibility of coverage, a valid 4 Point Inspection and/or credits from a valid Wind Mitigation Inspection), please call us at 1-866-711-9711 to speak to a live agent or click “Contact Us” to email us your contact information and begin shopping up to 47 different companies for home and auto quotes normally delivered within 24-48 hours. For homes valued over $1,000,000 we offer customized coverage though our elite companies such as AIG, Chubb and PURE.. These companies require special attention from our High Value Dwelling Team.